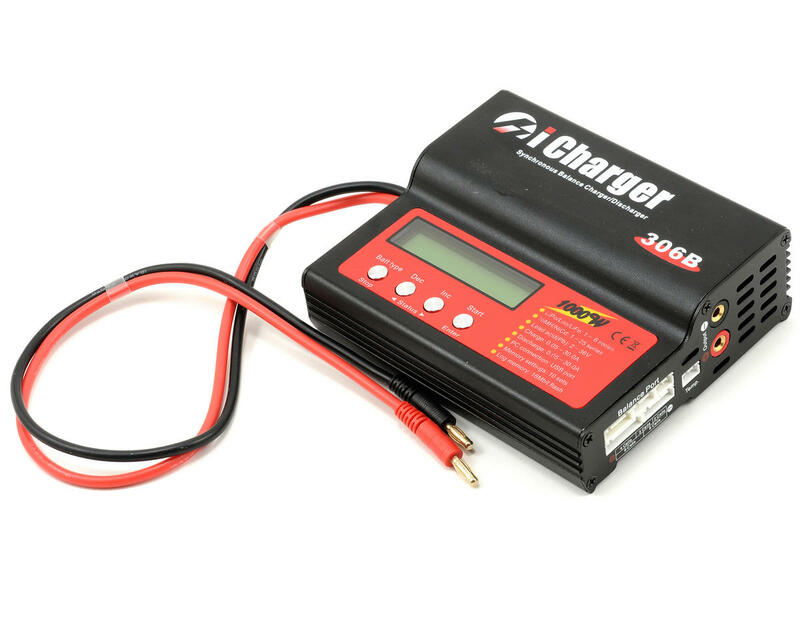 This is a Junsi Electronics iCharger 306B+ DC Battery Charger.This charger allows you to charge and balance 2S to 6S lithium batteries. The charger comes with XH style balance connectors on the side of the charger that fit Align, E-Flite and ProTek R/C battery packs. Adapter boards for other batteries are also available. Two input power choices. DC jack with auto-resetting fuse and alligator clips that can be soldered to the main input leads.The output power can be adjusted to align with the available input power, thus preventing input current overload and protecting the DC source. Temperature Sensor. Internal temperature sensor and temperature controlled automatic cooling FAN controls the internal temperature and provides intelligent protection. When the internal temperature is over 60℃(140 oF), the output power is automatically reduced by 25%. If the temperature exceeds 65℃(149 oF) the charge cycle is stopped. Unique Lithium battery expanding discharge program. When you connect the external capacity resistance, you can use it as the maximum discharge power capacity—1200W (@40V/30A). 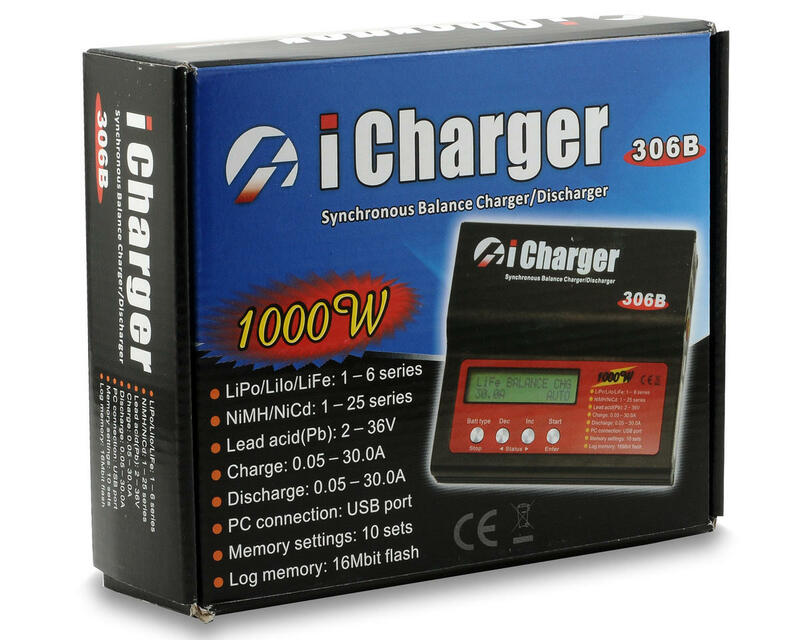 The iCharger also supports the “Open Format” data of the “logview” software and can display, plot and analyze the charge and discharge data (See detailed information about logview in the following website, http://www.logview.info). To download the product manual click here. NOTE: This charger requires a 12V-38V power source. Excellent charger..i try different chargers but this is one of the most powerful. Now this is a charger, yes sir. I calibrated this with a multimeter, set it to slow balance mode, and use a 1200 watt 24V power supply on its own dedicated outlet. I recommend to the same to get the full effect from this amazing charger. I charge (8) 22.2volt 3300 batteries on daisy chained parallel boards. The batteries measure out exactly 4.20 per cell. The batteries will not drop voltage as soon as they come off the charger- they are truly leveled off at the voltage. I charge them with 23A and am blown away to see the charger inputting 24A to do it. 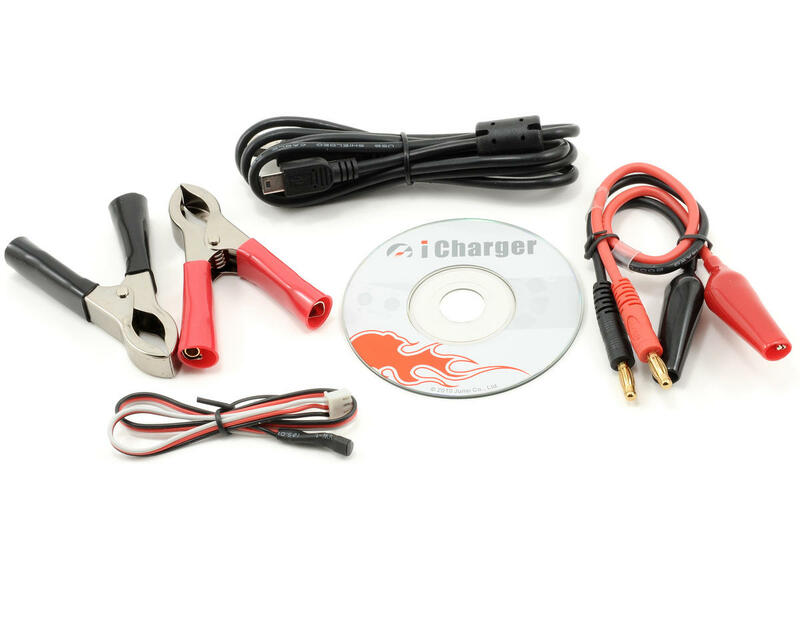 Do not crank on this charger with less than 24V input or an overloaded circuit. Other than that, I'm sure this thing will last a long time. It's super efficient and the wires and unit do not even get warm. I would charge at the full 30A but notice the batteries are better balanced and accurate with a more conservative charge rate. This charger is by far the best in it's class. I acquired mine from a friend who took very good care of it. Going on three years old and is flawless and very accurate. Currently paired up with an 875 watt HP power supply. If this thing ever does croak I'll buy another.